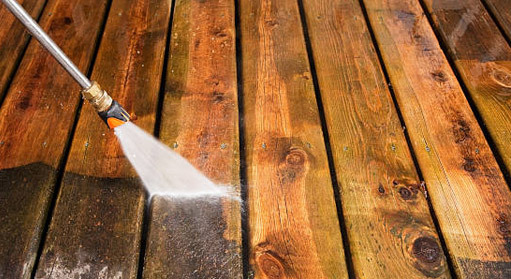 Power washing is one of the most effective ways clean your property. From dingy driveways, dirty decks, stained rooftops, and unsightly fences we clean it all. Our friendly technicians provide power washing Toronto residents have come to rely upon. We’ll keep your property looking great! NICK’S Window Cleaning has over ten years of experience providing services across the GTA. Our technicians are friendly, highly trained professionals. With full liability insurance, WSIB coverage, and the best rates, our service beats the competition. Power washing can clean just about any surface; give us a call to discuss your needs. Providing pressure washing Toronto homeowners can depend on requires a skilled operator. Much can go wrong if you leave pressure washing to the hands of an inexperienced technician. Property damage, sub-par cleaning work, or even unfinished work can all result from attempting to do it yourself. 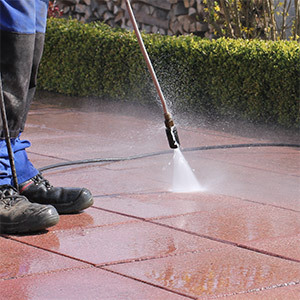 Not all surfaces are the same; each pressure washing service we carry out has specific needs and requirements. When needed, using an algaecide will eliminate mold and mildew. Finely tuned water pressure will prevent damage to surfaces while providing the optimal cleaning pressure. We treat your property with the utmost of care and consideration; we provide a power wash Toronto homeowners and businesses can rely on to clean their property safely and affordably. Our technicians are friendly, trained experts that understand effective pressure washing cleaning practices. Your property will look like new again once we are finished! NICK’S Window Cleaning provides residential and commercial power washing service to the entire Greater Toronto Area. Our experienced technicians are backed by full liability insurance, have WSIB coverage, and are some of the friendliest crew you’ll meet in the industry! We provide the best rates and fast job completion. We strive to provide the best customer service experience there in the industry. Our skilled technicians are personable, professional workers that understand the importance of treating your property with respect and careful consideration. Developing long-lasting relationships is integral to our business and we go the extra-mile to make sure you are a happy, satisfied customer. Contact NICK’S Window Cleaning today for a free, no-obligation estimate and discover for yourself why we’re the leading choice in power washing companies in Toronto. Pressure washing is an effective way to clean your property, preserving your curb appeal, beautifying your property, and thus protecting your investment. Permanent damage to surfaces occur largely because of dirt, mold, mildew, soot, amongst other airborne contaminants and pollutants. Regularly cleaning your home removes these unsightly elements from your home. This reduces potentially staining, corrosion, and general damage from your property. The result is a better looking home, improved curb appeal, and reduced cost of maintenance. Avoid property damage. It is common to underestimate the power of a pressure washer. It is possible for a pressure washer to strip the paint right off the side of your home. In fact, the powerful blast of water is not only capable of causing property damage but also to damage to people as well. It is true, serious injury can result from the high-powered water jets. According to Consumer Reports, in 2014 an estimated 6,057 people went to an emergency room due to injuries related to pressure washer use. Avoid personal injury. A professional that fully understands how to operate the machine should be the only person to use a pressure washer. A trained pro will understand the proper pressure setting, take all precautions necessary, and will understand how to operate the washer in an appropriate manner. It is often when an inexperienced operator becomes careless due to a false sense of confidence that injury is most likely to occur. For instance, a casual motion of the arm while browsing for the next area to be cleaned is all it takes for an injection injury to occur which can result in a very serious injury. Save time and money. Hiring a professional to do the job might not seem like a cost saving choice to some, but after you consider the options you may find that hiring a pressure washing service may in fact save you time in the long run. Take a moment to consider what is required of you. You need to spend some time to travel and purchase or rent a power washer and haul it into your vehicle. You will have to take the time out of your day or weekend to do the work. Before that, you need to spend some time researching exactly what machine to rent or buy, what the most effective cleaning solution is, and how to actually perform the work.